In 1983, when a milling frolic was requested for the Nova Scotia Tattoo in Halifax, the late Maureen MacKenzie brought together a group of Gaelic singers; Lauchie MacLellan led the milling. The group practiced every Sunday, winter through summer at the old Mabou firehall and at Christine MacLeod’s in Dunvegan. Calleagan Mhabou, a young group of Gaelic singers from Mabou, under Maureen’s directions, sang and milled with the group for the Tattoo. When the Tattoo was over, the older group decided to continue to sing as a group, having had so much fun and became Coisir an Eilean-Island Chorus. Upon Maureen’s death in June 2000, Father Allan MacMillan became director. 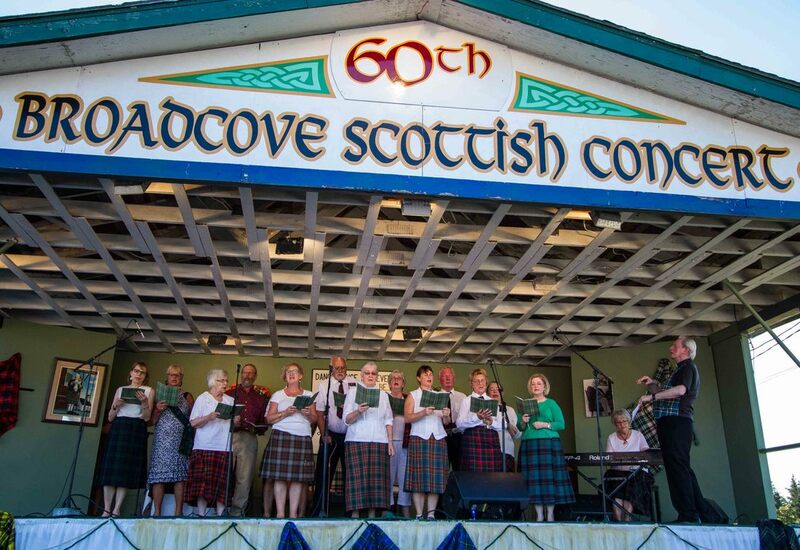 Many of the original group are deceased, but with new people joining over the years, Coisir an Eilean continues to perform at concerts and events throughout the county.